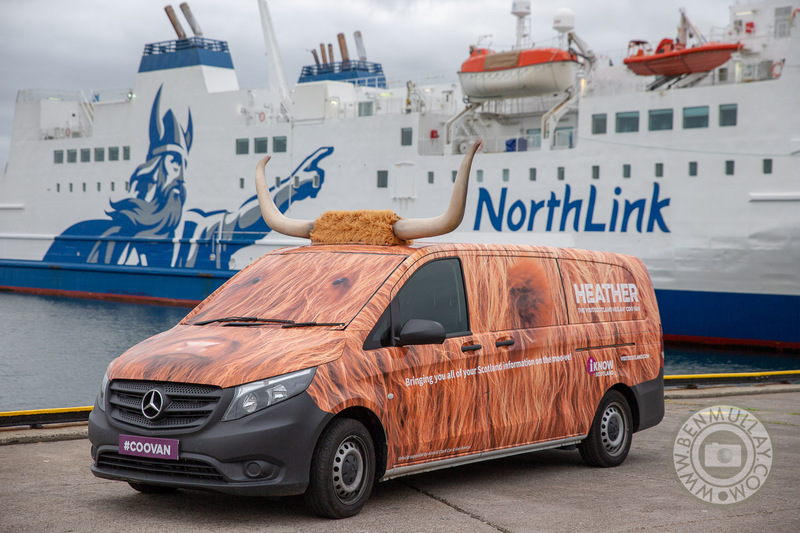 ‘Heather’ – one of Visit Scotland’s small herd of Coo Vans offering mobile information provision – arrived in Shetland off the MV Hjaltland yesterday morning. A number of Shetland’s visitor attractions – including Sumburgh Lighthouse, Unst Heritage Centre and Scalloway Museum – are to be visited this week. Heather is joined by members of VisitScotland’s team of specially-trained Coo-visors, who are responsible for steering the coos around the country over the summer. 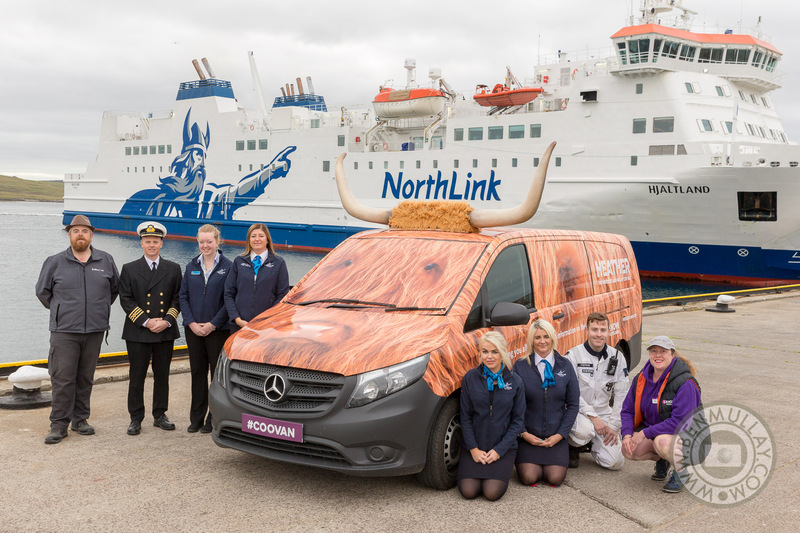 Northlink is working with VisitScotland on this visit by transporting Heather and the Coo-visors to and from Shetland via a Northlink ferry. The Coo-visors will be on hand to offer visitors advice on what to see and do in Shetland.